Intellectual biography is in vogue at present. Edmund Burke, David Hume and Karl Marx have all been the subject of recent studies and these have been widely reviewed in academic journals and the popular press. There is also biographical interest in a number of seventeenth-century figures, as a workshop held at Newcastle University on 4 July testified. The aim was to explore intellectual biography as a genre or approach, and to consider the particular challenges it presents as well as the opportunities it offers. The discussion was stimulating and wide-ranging and has set me thinking about many issues. One is the very nature of intellectual biography itself. A common approach to this, discussed at the workshop, involves a distinction between the work and the life, or perhaps even between the 'external life' and the internal 'life of the mind'. In these terms, intellectual biography can be contrasted, on the one hand, with critical commentary that focuses on published texts alone, and, on the other, with biographies focused exclusively on the private or public life of a subject who did not produce a corpus of published writings, or who is not examined in these terms. Despite this broad consensus, however, several participants at the workshop preferred to avoid the label. So Nick McDowell's study of John Milton will be an 'intellectual life' rather than an intellectual biography and Mike Braddick's biography of John Lilburne is to be titled a 'political life'. Another issue concerns whether certain subjects are better fitted for intellectual biography than others. At the workshop it was noted that intellectual biographies are more common for the post-1800 period. One reason for this may be that in the early-modern period, generally speaking, the sources are more fragmentary, making it more difficult to recreate the inner life (and sometimes even the external life) from the source material. Sarah Hutton pointed out that this problem is frequently exacerbated where the subject is a woman, since they had fewer opportunities to express their ideas publicly and their private papers are less likely to have been preserved. This can encourage speculation in order to fill in the gaps, but another approach is to focus more on reconstructing the intellectual context around the subject from other sources, not just directly through the subject's own writings, public and private. Also, in the case of early-modern studies the biographer is more remote from the mental world of the subject, making its reconstruction more difficult, but perhaps also requiring the biographer to build up the mental world from evidence rather than assuming that (s)he understands it. The particular character of the subject may further complicate this. 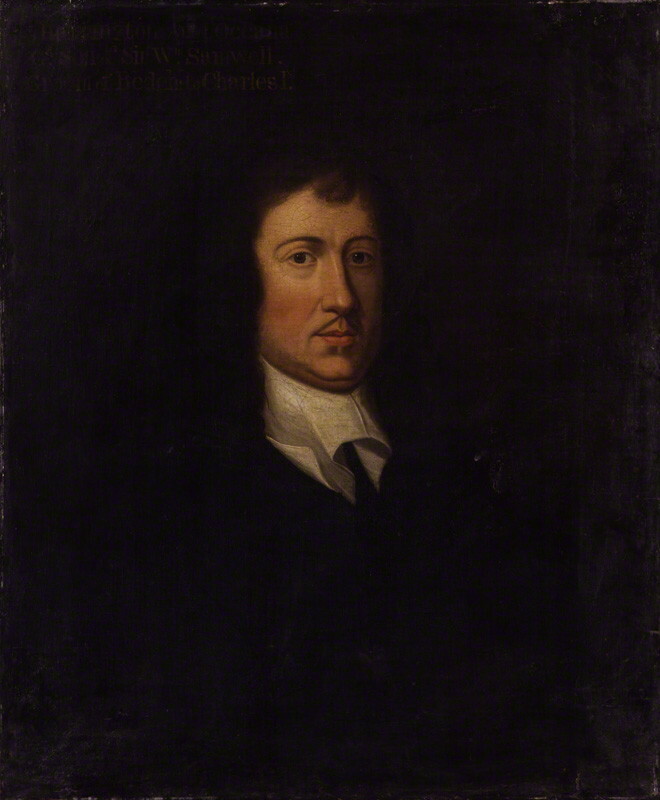 John Milton by an unknown artist c.1629, NPG4222. Reproduced under the creative commons licence from the National Portrait Gallery. Nick McDowell raised the common objection to intellectual biographies of poets that this approach tends to turn poems into vehicles for ideas and downplays the timeless, creative, literary spark of such works. There was also some discussion at the workshop of the idea that a woman's intellectual life might be of a different character or quality from that of most men. This is certainly true in the case of Anne Conway, who, as Hutton explained, did not philosophise in a familiar way. In part this was down to the fact that she had not had the traditional classical education enjoyed by most of her fellow philosophers. The same could, of course, be said of a man like John Lilburne who, though he attended the Royal Grammar School in Newcastle, did not go on to university or attend an inn of court. Lilburne, like Conway, had acquired his knowledge in more unconventional and autodidactic ways. Partly because of this, but also partly because of his role as an activist rather than a thinker, his thought is frequently inconsistent and his arguments are not always accurate, even when they were influential. It would be incorrect to suggest that such people as Conway and Lilburne did not have a mental life worthy of investigation, but it may be that different approaches and modes of expression are required in order to do justice to the lives and thought of such individuals. John Locke from the 1824 edition of his works. Courtesy of the Special Collections Department at the Robinson Library, Newcastle University. Even in the case of those who might seem eminently suitable subjects for an intellectual biography, such as philosophers, problems still arise. There is, for example, a potential conflict between the discipline of philosophy, which explores timeless ideas, and the format of biography which is concerned precisely with setting events and ideas within a fixed chronology. Mark Goldie alluded to this problem in slightly different terms when he noted that most of those interested in leading philosophers such as Thomas Hobbes and John Locke are concerned with their canonical texts rather than with their more minor works, or the minutiae of their daily lives. A major problem with intellectual biographies that participants at the workshop kept returning to is the danger of imposing consistency or coherence where it does not exist. This can take various forms. It might be that the biographer ends up creating coherence out of fragmentary evidence and then imposing it back onto the subject. However, it could equally be that a biographer has to engage with the subject's own self-fashioning, which may have created a coherence that is not, in fact, borne out by the evidence. Gaby Mahlberg's current project adds a further dimension to this problem in that she is writing the biography not of a single individual but of three English republican thinkers. Here, as in the individual cases, it is perhaps as much about understanding or making sense of disruptions and discontinuities as seeking to find unity or coherence. John Lilburne from The trials of Lieut. Colonel John Lilburne (London, 1649). Courtesy of the Special Collections Department at the Robinson Library, Newcastle University. Despite the many problems facing the intellectual biographer, there was much agreement about the value of the approach. As I argued in my paper on James Harrington, this allows the relationship between the life and the works (the external and internal lives) to be explored and appreciated, and can result in revelations about the influence of an individual's life experiences on his/her thought or, conversely, the impact of their ideas on their political and social actions. Intellectual biography was also praised for encouraging the exploration not just of texts, but of the social context of their production, the networks (intellectual and practical) of their authors, as well as their audiences and reception. In this respect a contrast was drawn between those working on more well-known figures, who might want to merge the subject into the crowd, for a time, in order to be able to see and appreciate the context in which they were operating, and those working on more obscure figures, who need to be given the opportunity to stand out from the crowd. This is perhaps particularly important in the case of women, so long hidden within history. Sarah Hutton emphasised the importance of producing intellectual biographies of women in order to restore them to visibility and to demonstrate that women, even early-modern women, had mental lives worthy of exploration. It is equally important in the case of male figures too, though, and can be illuminating beyond the individual. MikeBraddick spoke of the value, to a self-confessed social historian with an interest in state formation and structures, of exploring a life such as Lilburne's within a changing sociological context and of using his life and ideas to elucidate the history of political engagement more generally. Indeed if one thing was evident at our workshop it was that intellectual biography is an inherently interdisciplinary approach. Our speakers and panellists come from a range of disciplinary backgrounds (English Literature, Intellectual History, Philosophy, Social History, Modern Languages). The subjects they are working on are equally diverse (poets, political thinkers, philosophers, political activists). But, whatever the specific expertise of author and subject, it is almost impossible to produce an intellectual biography without drawing on more than one discipline. 'He sayd that he sometimes would sett his thoughts upon researching and contemplating always with this Rule that he very much and deeply considered one thing at a time... He walked much and contemplated, and he had in the head of his Staffe a pen and inke-horne, carried always a Note-book in his pocket, and as soon as a notion darted, he presently entred it into his Booke, or els he should perhaps have lost it. He had drawne the Designe of the Booke into Chapters, etc, so he knew whereabouts it would come in. Thus that booke was made.' (Aubrey's Brief Lives, p. 311). The nature of biography and its functions is currently on my mind since not only am I in the midst of writing a book entitled James Harrington: An Intellectual Biography for Oxford University Press, but I am also hosting a workshop on Early-Modern Intellectual Biographies at Newcastle University on Tuesday 4 July. At this workshop five other scholars will join me in discussing their recent experience of writing about a leading seventeenth-century English figure or figures. Several Newcastle colleagues with experience of working on intellectual biographies about people of other places and times will also contribute. By listening to these papers and commentaries, and discussing the issues they raise, I hope we will be able to explore some of the opportunities and challenges that this genre offers. These might include exploring appropriate ways of integrating biographical detail with analysis of the subject's thought and writings; considering the ways in which an individual life might illuminate a period more generally; and addressing the issue of how to balance a concern with enhancing the memory of a person with documenting all of the relevant facts about their life and thought. There is also a sense in which the life of the mind can potentially continue to play a role posthumously; whereas death, literally, places a final date on the life of action. This fact is in my thoughts at present since my husband John Gurney's final article 'Gerrard Winstanley and the Left', which he was working on when he died, has just been published in Past and Present. Despite two and a half years now having elapsed since his death, John's mind now has a fresh opportunity to influence others. All of this also makes me wonder about my own motives for turning to the genre of intellectual biography in the aftermath of John's death. I was conscious from the start of being driven into working on Harrington because of the research that John had already undertaken, and the notes he left to me. I have commented elsewhere on how this project operated as a bridge between my old life with him and my new one without. But now I wonder also whether there is not something especially appealing to me at this time about Aubrey's idea of biography as a conjuring trick. Perhaps it was because of his own immersion in the history of seventeenth-century England, and the obsession at that time for memorialisation, or perhaps it is just a natural human instinct, but when my husband John was diagnosed with terminal cancer he became concerned about his own legacy. Besides the bench near to our home that he requested, he was also keen to have a memorial in the village of Cobham in Surrey, the home of Gerrard Winstanley, and the setting for the radical Digger movement’s occupation of common land in April 1649. John Gurney's thesis and publications. Image by Rachel Hammersley. Winstanley and the Diggers had been the main focus of John’s research from the time he began working on a DPhil at Sussex University in the 1980s. This focused on the County of Surrey during the English Revolution. He was supervised by Willie Lamont, the inspirational historian of seventeenth-century England. By the time he died, John had written several articles and two books on this subject. His first book, Brave Community: The Digger Movement in the English Revolution (Manchester: Manchester University Press, 2007), sought to set this unusual radical movement in its local Surrey context, demonstrating the extent to which the movement grew out of, and fed on, existing social tensions; and detailing the impact of civil war on the local community. The second book, Gerrard Winstanley: The Digger’s Life and Legacy (London: Pluto Press, 2013), focuses more directly on the Digger leader, tracing both the origins of his ideas and writings, and their subsequent impact (and that of the Diggers’ actions) on politics and popular culture right up to the twenty-first century. Brave Community poster, designed by Roger Newbrook. Given the focus of his first book, an event in Cobham seemed a particularly appropriate way of remembering John. Before he died, he had already spoken to a couple of fellow Winstanley experts about this: David Taylor, an historian based in Cobham who is extremely knowledgeable about the local area; and Andrew Bradstock who organised a commemorative conference on the Diggers in 1999 (the 350th anniversary of the Digger movement). John had himself attended that anniversary conference and had contributed to the resulting collection of essays, Winstanley and the Diggers 1649-1999 (London and Portland: Frank Cass, 2000). Consequently, after John died it was to David and Andrew that I turned for assistance in thinking about a suitable memorial. Quite quickly we hit upon the idea of organising an afternoon of talks, readings, video clips, and music focusing on Winstanley and the Diggers. My aim was to create the kind of event that John himself would have enjoyed; and to open it up not just to his family, friends and colleagues, but to anyone with an interest in Winstanley and the Digger Movement. I was honoured that Michael Wood, the public historian well known for his engaging BBC Television series ’Story of England’, and more recently for his groundbreaking series on the history of China, agreed to speak. Michael had produced a programme dealing with the Civil War, which touched on Winstanley and the Diggers, as part of a series on the history of England for Jubilee year. As a result, he was familiar with both the Digger movement and Cobham, and already knew John’s work. At the same time, John had been particularly impressed by the thoughtful and sensitive way in which Michael engaged with and presented the history of England in his television programmes. Consequently, in so many ways, Michael was an ideal choice. We also managed to secure a panel of Digger experts, including Ariel Hessayon, Rachel Foxley and David Taylor himself, to speak more directly about the movement and its place within a wider radical context. Finally, Leon Rosselson, the acclaimed singer-songwriter who wrote, among many other things, ‘The World Turned Upside Down’, which tells the story of the Digger Movement, very kindly agreed to come and provide musical entertainment. Brave Community programme, designed by Roger Newbrook. Leon Rosselson, Brave Community, Cobham, 21 May 2016. Image by Rachel Hammersley. I called the event ‘Brave Community’ after John’s first book. It seemed appropriate not just because of the reference back to the book, but also because those two words resonated strongly with me. John had been very brave in the face of his devastating cancer diagnosis, and bore everything that this horrendous disease threw at him with a calmness and dignity that both astounded me and simultaneously gave me strength. Since he died, the children and I have had to continue to be brave, as have his parents, his sisters and all who loved him. Bravery is a word that is so often associated with violence, war and aggressive action, yet the immense courage required to calmly continue with life in the face of illness, death and bereavement involves bravery of a much more enduring kind. While to some extent each of us had to face the horror alone, I know that I have drawn great strength and assistance in my darkest moments from what I have come to think of as ‘John’s community’. This is an eclectic group comprised of John’s family, friends - old and new, and colleagues past and present. Many of them attended John’s funeral or wrote to me at that time, and a wonderful number have kept in touch since. They provided me with sustenance by their kind words and by making clear that, lonely as I sometimes felt, I was not the only one who mourned the loss of John Gurney. It strikes me as odd, but at the same time absolutely right, that 'John’s community' has continued to exist and to remain important even in his absence. Michael Wood, Brave Community, Cobham, 21 May 2016. Image by Rachel Hammersley. So, approximately 100 people willingly spent a sunny May afternoon in Cobham Church learning about Winstanley and the Diggers and celebrating John’s life and work. Some had travelled a long way to be there These included a group from Wigan, Winstanley’s birthplace, where an annual Digger Festival is held; and another group from Wellingborough, the site of another Digger settlement, and now also the setting for an annual celebration of Winstanley and his comrades. Also attending were a number of Surrey residents with an interest in their own local history. Frontispiece to John Toland's edition of The Oceana and Other Works of James Harrington (London, 1737). Private Copy. Image by Rachel Hammersley. Though attitudes to history and death have changed dramatically since early-modern times, as well as always being contested and subject to different interpretations, commemorative events took place then as they do now. One only has to think about the annual marking of the regicide in the late seventeenth century. This included both 30th of January sermons hailing Charles I as a martyr and gatherings of those who lamented the passing of the Good Old Cause (even if they did not actually do so by devouring a calf's head as the mischievous publican and anti-Whig satirist Ned Ward claimed). Of course, gatherings and events are notoriously difficult for historians to recover in detail, and so it is perhaps not surprising that no records remain about commemorations of Harrington after his death. However, we do have an important commemorative object which, just like our event for John, celebrates Harrington’s work and seeks to demonstrate the continuing relevance and importance of it. This object is John Toland’s beautiful and richly decorated frontispiece to his edition of Harrington’s political works. Mourning jewellery and bequests in wills are two ways in which dead friends and relatives might be remembered. Another method of remembrance, one that also remains just as common in the twenty-first century as it was in the seventeenth, is physical memorials or monuments of one kind or another. As the father of two young children my husband was particularly concerned to leave some physical mementos behind and one idea that appealed to him was for us to have a bench made in memory of him that could be placed in a quiet spot at an English Heritage property near our home. It is a site that all four of us loved and which we visited many times. The bench would be a public memorial to John, but it would also provide the three of us with a place where we could go to sit and think about happy times together. Monument to Sir James and Lucy Harrington in the Church of St Peter & St Paul, Exton, Rutland. Image by Catherine Snowball. Reading the wills and visiting some of the places associated with the Harrington family drew to my attention the importance to them too of public memorialisation. James Harrington’s grandfather and namesake Sir James Harrington of Ridlington (d.1614) appears to have been particularly committed to this practice. 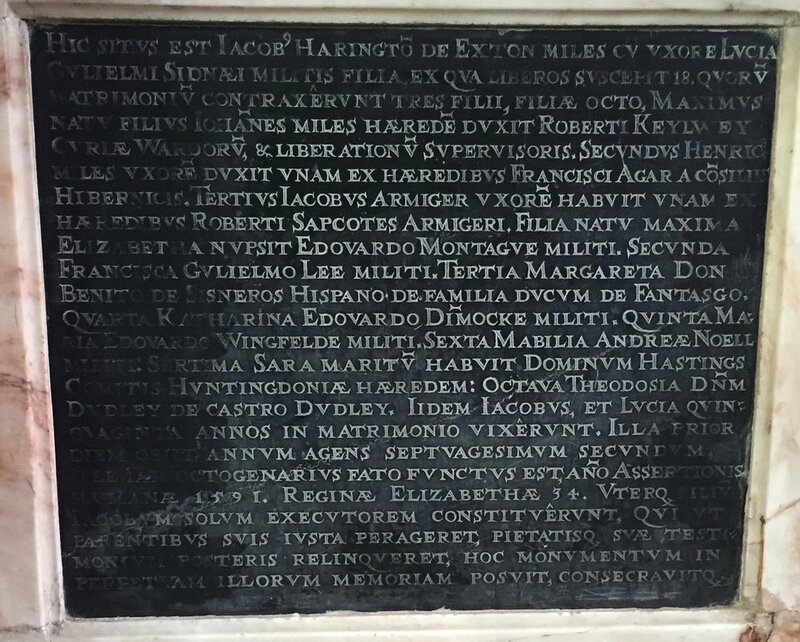 In the first place, Sir James was responsible for the memorial in the church of St Peter and St Paul in the village of Exton in Rutland, which commemorates his father (and my James Harrington’s great grandfather) Sir James Harrington of Exton (1511-1592) and his wife Lucy Sidney. They both lived into their 70s and together they bore eighteen children. The monument depicts the couple kneeling at a prayer desk facing each other. Sir James Harrington of Ridlington, who was sole executor of his parents’ wills, explained his reason for erecting the monument, and in doing so reflected the dual purpose that such memorials perform. It was dedicated, he explained, to the ’eternal Memory’ of his father and mother, but as well as commemorating them, it also served a function for their living relatives, and particularly Sir James himself: ‘that he might as well perform to his Parents their Rites, as leave a Testimony of his own Piety to Posterity’. While the motivations behind our bench were entirely secular, it too was to serve a purpose both for John and for the three of us left. Kelway Monument in the Church of St Peter & St Paul, Exton, Rutland. Image by Catherine Snowball. A second Harrington monument in Exton church is known as the Kelway monument. It celebrates the union between the Kelway and Harrington families via the marriage of Sir James and Lucy’s eldest son John Harrington to Anne Kelway, daughter of Sir Robert Kelway a well-known Elizabethan lawyer. This richly decorated alabaster monument depicts the effigy of Robert Kelway in the centre, with his daughter Anne, son-in-law Sir John and their son, also John Harington kneeling alongside. It was, of course, Sir John and Anne who became the guardians of James I’s eldest daughter Elizabeth. Moreover, there is a further memorial to Elizabeth and her connection to the Harington family in the nearby Tunnely Wood, since one of the paths in the park is still known as the Queen of Bohemia’s ride. The Exton monument to Sir James and Lucy Harington was not the only one commissioned by Sir James Harrington of Ridlington during his lifetime. And it would seem that by the time of his own death, just over twenty years later, he no longer felt the monument to his parents to be a sufficient testimony to his own piety or his family’s honour. Sir James’s will, which was written on 21 July 1613 and proved on 14 February 1614, refers to him having set up a little memorial at Ridlington. This memorial can still be seen in the Church of St Mary and St Andrew, in the north wall of the chancel. It is a small alabaster monument with entablature depicting Sir James and his first wife Frances who was the co-heiress of Robert Sapcote. Significantly Sir James and his wife are depicted facing each other in a kneeling position, presumably deliberately echoing the stances of his parents in the Exton monument (and, indeed the Kelway monument too). Moreover, Sir James decreed in his will that on his own death he wanted inserted onto the monument the date of his death ‘and my stile with a blouddie hand in a Scutchin which honor the king hath given us of that rank’. His justification for this request, though probably designed to remind later observers of his family’s connections to the Stuarts, was at least expressed in a tone of modesty: ‘which though I have noe pride therein, so doe I not disdaine that badge his majestie hath given to me and my heirs male for ever’. Since a bench in his memory was one of just a handful of things that John was very insistent about before his death, it was, of course, one of the tasks I quickly put my mind to after he had died. Making the arrangements was not entirely straightforward, not least because for a long period of the winter months English Heritage’s legacy office in London (which approves and makes arrangements for benches to be constructed and situated appropriately) was only open Monday to Friday while the local site was only staffed on a Saturday and Sunday, making it difficult for them to liaise with each other. However, English Heritage’s staff were extremely helpful and supportive. They found us a beautiful secluded spot for the bench and co-ordinated its construction. Consequently, just over six months after John’s death our bench was installed. We visit it on special occasions and anniversaries and sometimes just when we are passing. Friends who know about it have visited it too and I have even had acquaintances tell me that they found it unexpectedly and spent a few minutes sitting and thinking about John and our family. It may not be an alabaster monument with detailed carved figures and family crests, but in many ways it does a similar job, and in its quiet beauty and dignity it is a fitting tribute to John. Newcastle University's Mensbar. Photograph by R. Hammersley. Student votes rarely make the local paper, but last month the decision by students at Newcastle University to change the name of the student bar to Luther (after Martin Luther King Jr. who was awarded an honorary doctorate at the University in 1967) was discussed in the Chronicle. The reason for this publicity has less to do with the new name and its inspiration, than with the bar’s original label: ‘Mensbar’. It has long been a source of bemusement - and sometimes even shock - to new students at Newcastle that this name should be deemed acceptable in the twenty-first century. This is not, of course, a drinking establishment that is only accessible to half the student population (the absence of an apostrophe is - in this case at least - very deliberate). Yet shockingly, according to the Students’ Union education officer - Chris Duddy - in the Chronicle article, the name did originally refer to the bar’s refusal to admit women. The more common explanation on campus (and the reason the name has not been changed before) is that it is in fact a pun on the University’s Latin motto ‘mens molem agitat’. The University translates the tag as ‘mind moves matter’, which fits well with the commitment to civic engagement that is central to the University’s mission. The idea that minds can have a positive impact on the world, that they can effect change for the better, lies at the very heart of the idea of a civic university and is the antithesis of the image of the university as an ivory tower. Yet if Duddy is correct, and the Latin motto was ‘retrofitted’ to explain a name that had become distinctly uncomfortable by the 1990s, then it is by no means the first time that this particular Latin tag has been appropriated and altered to fit new ends. The Newcastle University motto on the Bedson Building. Photograph by R. Hammersley. His durance in these Prisons (he being a Gent of a high spirit and hot head) was the … cause of his … madnesse, which was not outragious, for he would discourse rationally enough, and be very facetious company: but he grew to have a phancy, that his Perspiration turned to Flies, and sometimes to Bees … and he had built, a versatile timber house in Mr Harts garden (opposite to St James’s parke) to try the experiment. He would turne it to the sun, and sitt towards it; then he had his fox-tayles there to chase away, and massacre all the Flies and bees that were to be found there: and then shut his Chassees. Now this Experiment was only to be tried in Warme-weather: and some flies would lye so close in the cranies, and the cloath (with which it was hung) that they would not presently shew themselves a quarter of an hower after perhaps a fly or two or more might be drawen-out of the lurking holes by the warmeth, and then he would crye-out, doe you not see it apparently that these come from me? (John Aubrey, Brief Lives, ed. Kate Bennett. Oxford, 2015, I, p. 321). The Mechanics of Nature, though incomplete, appears to be Harrington’s explanation for this phenomenon, since he there presents the idea of ministerial or animal spirits that work for good or evil in human bodies as well as in the universe more generally. The flies and bees that he claimed emerged from his body were presumably, according to Harrington, manifestations of these spirits. The somewhat curious idea of these animal spirits was grounded in the idea of nature as breath or spirit, as the ‘Anima Mundi, or Soul of the World’. It was to illuminate this point that Harrington quoted the passage containing the phrase Mens molem agitat or, in its original form, mens agitat molem. In the beginning Spirit fed all things from within, the sky and the earth, the level waters, the shining globe of the moon and the Titan's star, the sun. It was Mind that set all this matter in motion. Infused through all the limbs, it mingled with the great body, and from the union there sprang the families of men and of animals, the living things of the air and the strange creatures born beneath the marble surface of the sea. The living force within them is of fire and its seeds have their source in heaven, but their guilt-ridden bodies make them slow and they are dulled by earthly limbs and dying flesh. It is this that gives them their fears and desires, their griefs and joys. Closed in the blind darkness of this prison they do not see out to the winds of air. (Virgil, Aeneid, translated by David West, 6. 724-729). James Harrington's 'The Mechanics of Nature', in The Oceana and Other works of James Harrington Esq., ed. Toland (London 1737). Copy from a private collection. The meaning here, then, is less ideas having a practical impact on the world than mind or spirit animating or bringing life to earthly matter such as human bodies. As Harrington himself acknowledged in The Mechanics of Nature, there is a religious undertone to the idea. There he also describes nature as the ‘Word’ and the ‘Providence’ of God. The religious element is also evident in the original text from which the quotation is taken. It comes from book 6 of Virgil’s epic poem The Aeneid, a work which we know meant a great deal to Harrington, since he not only included quotations from it in his works on several occasions, but also translated several books from it - including book 6. The passage comes at the point when the hero Aeneas has just crossed the river Styx into the underworld to speak with his dead father Anchises. Aeneas asks whether there are really souls that return from the underworld to bodily form under the sky and in response Anchises confirms that souls can make that move and explains the interrelation between spirit and matter. In Newcastle’s Mensbar bodies are perhaps animated more by alcoholic spirits than by the spirit of nature, but the campaign to change the name is itself an embodiment of the idea of mind moving matter - even if in this case the matter in question is only the signage at the entrance to the university establishment. Most seventeenth-century wills are dull and formulaic. Couched in dry legal prose, reflecting the standard religious commonplaces of the day, and primarily concerned with often fairly conventional transfers of land and goods, they tend to reveal little of the personality and beliefs of their author or the precise nature of the kinship and friendship connections that they sketch out. Nevertheless, there are occasionally puzzles, and intriguing details, and some are to be found in the Harrington family wills, notably those of Harrington’s sister Elizabeth Ashton and her husband the parliamentarian politician Ralph Ashton. Extract from the will of Sir Sapcoates Harrington. TNA: PROB 11/157/654. Reproduced with permission from The National Archives. Jewellery often figures prominently in wills, and one such item that appeared in Elizabeth Ashton’s will, dated 6 August 1684, was her ‘single Pearle Necklace’ which she left to her niece Elizabeth, the daughter of her brother William Harrington. This was by no means the only item of jewellery bequeathed by Elizabeth Ashton to a relative in her will and so it might not be thought worthy of any greater note, except for the fact that it is possible to trace its journey back through several family bequests. Elizabeth Ashton received this necklace from her sister Anne Evelyn. In Anne’s will, which was signed in November 1674 and proved on 2 February 1677, she bequeathed 'to my sister Ashton my Pearle Necklace forever’. The reason why the childless Anne chose to pass this particular item on to her sister, and indeed why Elizabeth - who also had no surviving children, her young son having died in infancy - then bequeathed it to her brother’s daughter, becomes apparent by examining Sir Sapcotes Harrington’s reference to the necklace in his will, in which he bequeathed it to Anne, his daughter. Sir Sapcotes’s will was written on 12 August 1629 and proved following his death in June 1630. By the time he died, Sir Sapcotes had seven children in total, four from his first marriage and a further three surviving children from his second. In his will he made clear that he expected his second wife to take good care of her own children and while he trusted that she would also behave in a motherly fashion towards his older children, he felt obliged to make some specific provisions and bequests to the children of his first marriage. These included passing on to them some of the treasured possessions of his first wife Jane Harrington (née Samwell) who had died in 1619. Consequently, he left to his eldest daughter Anne ‘one hart diamond rings and a necklace of Pearle, which was her mothers, as also the choice of one of the petticoats which was her mothers’. It is clear from these various wills that, whether for financial or sentimental reasons, it was important to Jane Harrington’s husband and children that that particular necklace remained within the family. Extract from the will of Dame Elizabeth Ashton. TNA: PROB 11/383/402. Reproduced with permission from The National Archives. Of course, in passing on family jewellery from one family member to another - even across several generations - the Harringtons were not particularly unusual. However, some of the other heirlooms that Elizabeth bequeathed to her relations were more unusual, and therefore provide a fascinating insight into the Ashton household and the interests and possessions of Elizabeth and her late husband. Alongside portraits of various aristocratic figures and family members, some alabaster Caesar's heads and a hanging candlestick, Elizabeth also explicitly referred to several items in the gallery of her house, the Rectory at Whalley in Lancashire. These included: ‘the great Elephants tooth the Whales tooth and all the other rarities in the said room’. Evidently she and her husband had collected quite a "cabinet of curiosities". Such phenomena were popular in the sixteenth and seventeenth centuries and would display a wide range of objects including natural curiosities, scientific instruments and works of art. [See O. Impey and A. MacGregor, eds, The Origins of Museums: The Cabinet of Curiosities in Sixteenth- and Seventeenth-Century Europe, London, 2001.] Moreover, Elizabeth was keen to preserve not just the collection of objects themselves, but also their particular setting and layout, which was itself part of her husband’s legacy. As she explained, it was important that her brother-in-law ‘the said Sir Edmund Ashton’, to whom she left the objects, ‘will carefully endeavour that they may be preserved as ornaments and Heir loomes to the said house in memory of his Brother that placed them there’. Codicil to Sir Raphe Assheton's will. TNA: PROB 11/362/546. Reproduced with permission from The National Archives. It is undoubtedly a cliché, but people in the past had much more contact with death than we do now, and probably as a consequence they were much more comfortable in talking about it, and in discussing grief and memorialization than we are today. This familiarity with death is something that the popular imagination tends to associate most directly with the Victorian era, largely because of the death of Prince Albert at the age of just 42 and the bereaved Queen’s very public response to her loss. Yet, if anything, death was even more of an ever-present reality in earlier periods, not least in the seventeenth and eighteenth centuries, the period of my own historical research. On the basis of parish records, historians have concluded that in early-modern England the infant mortality rate (that is the number of children who died during the first year of life) was approximately 140 out of every 1000 live births. The estimated rate for the UK in 2015 was just 4.38. The average life expectancy in early-modern England fluctuated, but according to Wrigley & Schofield’s highly regarded work, it was generally between 30 and 40. (E. A. Wrigley and R. S. Schofield, The Population History of England 1541-1871: A Reconstruction (Cambridge: Cambridge University Press, 1989), pp. 234-6. Of course the life expectancy figures reflect the high infant mortality just mentioned. A very rough estimate of average life expectancy for those among the aristocracy who managed to reach the age of 21 would be 60 years of age. See H. Lancaster, Expectations of Life (New York: Springer Verlag 1990), p. 8.) For children born in the UK today that figure has doubled. Infectious diseases were a particularly common cause of death in early-modern times not least the bubonic plague, which hit England in 1563, 1603, 1625 and, most famously, 1665. The Civil War itself was another major killer. Though it has been contested, some historians have suggested that the proportion of the adult male population who died as a result of the Civil War was higher than the proportion killed in World War One. Frederick V King of Bohemia and Elector Palatine and Princess Elizabeth Queen of Bohemia and Electress Palatine, possibly by Balthasar Moncornet, after unknown artist, early 17th century. NPGD26454. Reproduced under a creative commons licence from the National Portrait Gallery. Of course, the statistics only tell us so much. To see what people thought about death, how they were affected by grief, and what means they used to cope with loss, we have to turn to other sources. As a young widow myself I have become particularly attuned to discussions of death, grief and loss in the sources I have been reading. In a bizarre way the knowledge that many of the historical figures who are central to my current research lost a spouse or a parent at a young age is comforting; and their ability to survive, and often succeed, in spite of their loss is reassuring. James Harrington himself lost his mother when he was just 8 (the same age as my son when his Dad died). Harrington’s father then died when he was still only 19, making him an orphan before he had come of age. A half-brother also appears to have died young. The life of another central character within my research - Elizabeth, Queen of Bohemia, and sister of Charles I - was equally tragic, royal status offered no protection against death. Her first experience of death occurred at a very early age when her infant sister Margaret died soon after having joined Elizabeth at Linlithgow Palace in Scotland in 1602. We know little of the effects this tragedy had on the five-year old princess, but much stronger evidence is available for the devastating effect of the loss of another sibling, her favourite brother (and the heir to the throne) Henry Frederick in 1612. He died of typhoid fever aged just 18. Elizabeth was 16 at the time and was clearly much affected by the loss. Elizabeth’s eldest son, who had been named Frederick Henry after her husband and brother, did not even make it to the age of his younger namesake. He drowned, aged just 15, in 1629. Three years later, Elizabeth was widowed, aged just 36, when her husband, Frederick V, Elector Palatine, died. Despite this being far from her first experience of grief, Elizabeth was deeply affected by her husband’s death. The editor of her letters refers to her disappearing ‘as a letter writer’ for about three months and Elizabeth’s comments in letters written after that gap betray her anguish and reflect a humanity that unites royalty and commoners, and early-modern people with us in the twenty-first century. In a letter to a friend she admitted: ‘I know not what to say more to you, you having lost a deare frend and I the best housband in the worlde, I shall never take anie more contentment in this world, having lost all in him.’ (Elizabeth in The Hague to the Marquess of Hamilton, 1 February 1633 in The Correspondence of the Queen of Bohemia, ed. Nadine Akkerman (Oxford: Oxford University Press, 2011), II, p. 163.) This idea that the happiness had gone out of her life was also expressed in an earlier letter to her brother Charles I where she described herself as: ‘the most wretched creature that ever lived in this world, and this I shall ever be, having lost the best friend that I ever had, in whom was all my delight; having fixed my affections so entirely upon him, that I should have longed to be where he is, were it not that his children would thus have been left utterly destitute’. (Elizabeth in The Hague to Charles I, 24 December 1632 in The Correspondence of the Queen of Bohemia, II, p. 151.) Elizabeth would, of course, go on to lose Charles himself, in particularly traumatic circumstances, in January 1649. Were she alive today she would no doubt have been in therapy for years and would probably have had her tragic life story featured in a newspaper weekend supplement. In the seventeenth century, by contrast, her story was not particularly unusual and she seems to have dealt with it by writing to her close friends and family about how she felt and by getting on with her life. Frederick V King of Bohemia and Elector Palatine by Gerrit van Honthurst (1635). NPG1973. Reproduced under a creative commons licence from the National Portrait Gallery. For obvious reasons, wills provide a particularly rich insight into these issues. They were the place in which seventeenth-century men and women (of a certain social standing, of course) voiced their expectations and religious beliefs concerning life after death; expressed their wishes on the place and nature of their burial; spoke of their love and concerns for those they would leave behind; and dictated what should be done with their worldly goods once they had gone. Despite their legalistic language and formulaic structure, reading them provides a rich insight into the strength of familial and friendship ties; seventeenth-century attitudes to death; and the varied ways in which people attempted to come to terms with the inevitable ending at least of their earthly life. Amongst all this, however, there was one phenomenon in particular that caught my attention in my research into Harrington: his family’s practice of leaving money to close friends and relatives for them to purchase mourning rings. James Harrington after Sir Peter Lely, c.1658. NPG 4109. Reproduced under a creative commons licence from the National Portrait Gallery. While the idea of mourning rings might seem like a quaint old custom, it does have a modern equivalent. Not only is it possible to buy antique mourning rings and other jewellery (generally at great expense), but there are now also companies that will produce cremation jewellery, including rings in which you can place some of your loved one’s ashes. While lives in the twenty-first century may generally be longer and less tainted by death than those of our early-modern ancestors, there are, needless to say, continuities in the anguish of bereavement, and to some extent also in the means by which we seek to memorialise our dead relatives and friends. One of my friends often sends a postcard of a painting as a New Year greeting. That plus the themes of hopes for the future and the fickleness of life made the subject of this post seem particularly appropriate for New Year's Day. I hope 2017 brings you health, happiness and much laughter. As a child, the young Princess Elizabeth and her brother Prince Henry were themselves the subjects of an important pair of portraits by Robert Peake the elder, which were commissioned by her guardian Sir John Harrington of Exton in 1603 (the great uncle of James Harrington). Though now owned by different institutions, and situated on different continents, the two portraits were clearly intended to be read alongside each other. They are also a fruitful source of information about the relationship between the Harrington and Stuart families in the early seventeenth century, or perhaps more accurately about Sir John’s own perception of that relationship and his hopes for how it might develop. Robert Peake, 'Princess Elizabeth (Elizabeth of Bohemia, "The Winter Queen", 1596-1662' (1603) @ National Maritime Museum, Greenwich, London. I am grateful to the National Maritime Museum for permission to reproduce this portrait here. The portrait of Princess Elizabeth, which is now held at the National Maritime Museum in Greenwich, depicts her lavishly dressed and holding a fan. Her dress is white, suggesting purity, and is decorated with simple orange flowers which, along with Elizabeth’s jewellery, accentuate her red hair. The style and richness of the dress, and the emphasis on her hair colour, seem to point to the visual similarities between Elizabeth and her late godmother and namesake, Queen Elizabeth I, though art historians have also suggested that the depiction of her face in the painting resembles that of her father, James I. (N. Ackerman, 'Semper Eadem: Elizabeth Stuart and the Legacy of Queen Elizabeth I', in The Palatine Wedding of 1613: Protestant Alliance and Court Festival, ed. S, Smart and M. R. Wade (Wolfenbüttel, 2013), pp. 158-9. See also M. M. Meikle, 'Scottish Reactions to the Marriage of Lady Elizabeth, "first dochter of Scotland"' in the same volume, pp. 131-43). The parallel with Elizabeth I was commonly drawn both by the young princess herself and by those around her. It was perhaps particularly appealing for the Harringtons, who were known for their Protestant piety, since it helped to reinforce Princess Elizabeth's potential as a defender of Protestantism. Yet, while the colour, style and material of the dress all suggest a court setting, Elizabeth is actually depicted against the background of an English country estate - complete with trees, a river and various pathways and bridges. Within the landscape are several significant details. Behind Elizabeth’s right shoulder is a pergola housing two seated figures. These presumably represent her new guardians Sir John Harrington and his wife Anne, who are keeping a distant, but careful, eye on their new charge. We know that the portrait was painted in 1603, since that is the year inscribed on the bridge to her left. Moreover, it is also clear that the portrait was produced after August, when Princess Elizabeth turned seven, since this is the age indicated on the fan she is holding. Consequently it must have been painted around the time that Sir John and his wife became her guardians - they took on the role in October and Elizabeth moved into their house in December of that year. This strongly suggests that the portrait was produced to commemorate their appointment to that role. Behind Elizabeth’s left shoulder is a hunting scene. Two riders - one on a white, the other on a brown horse - are depicted galloping through the landscape. Hunting was a particular passion of Elizabeth and her family, as her correspondence testifies. It also played a crucial role in forging the relationship between the Stuart and Harrington families in the first place. The account of James I’s journey from Edinburgh to London for his coronation as King of England refers to him staying several nights at one of Sir John’s houses in Rutland. A later commentator noted that the King ‘found excellent amusement in pursuing, with Sir John’s well-trained hounds' and commented that 'The monarch was, in fact, so much pleased with the good knight's attention, that he revisited his house a few days after'. (J. H. Wiffen, Historical Memoirs of the House of Russell: From the Times of the Norman Conquest, 2 Volumes (London: Longman, 1833), II, p. 68.) 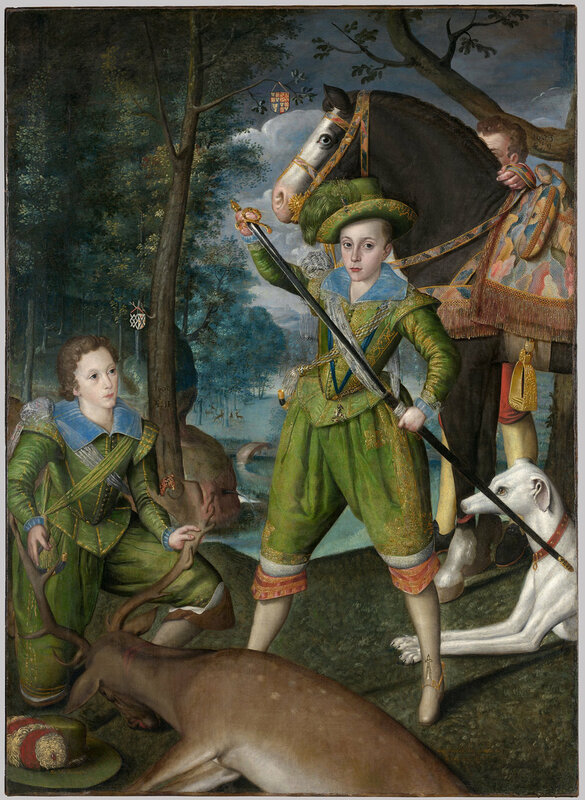 The hunting scene also provides a direct link to the companion portrait which depicts Elizabeth’s brother Prince Henry Frederick, heir to the throne, together with Sir John’s son John Harrington. This second portrait is now held in the Metropolitan Museum of Art in New York. The background scene of the two paintings is very similar, and it seems likely that the hunting scene in the background of the portrait of Elizabeth actually features Prince Henry and his friend John. The orange palette of the servant’s clothes and the horse’s saddle can certainly be made out in the background to the painting of Elizabeth. However, this second portrait depicts a scene of triumph rather than mere ceremony. Though aged just 9 and 11 at the time, the two boys are depicted having just killed a deer. The prince is sheathing his sword having cut the beast’s neck, while Harrington is holding its antlers. Catharine MacLeod has emphasised the innovative quality of this work within English portraiture, not least due to this focus on a moment of action rather than stasis. (C. MacLeod, 'Portraits of a "most hopeful Prince"', in The Lost Prince: the Life and Death of Henry Stuart, ed. C. MacLeod with T. Wilks, M. Smuts and R. MacGibbon (London: National Portrait Gallery, 2012), p. 35.) Once again symbols within the painting hint towards its meaning. We know that the portrait was produced in the same year as the one of Elizabeth, since ‘1603’ is again inscribed in the painting, this time on the tree immediately behind John Harrington. Also hung on the tree are the shields of the two families. Their positioning, and that of the boys themselves, clearly demonstrates the superiority of the Stuarts and the subservience of the Harringtons to them, while at the same time emphasising the connections between the families. The shields are attached to the same tree (an indication of the kinship between the Stuarts and Harringtons via the Bruce line). However, the Stuart shield is hung high up in line with the clouds, while the Harington shield is hung on the other side of the tree much lower down firmly in the earthly realm. Similarly, Henry Frederick stands in the centre of the picture in a bold and confident pose, looking directly out at the viewer. John, by contrast is kneeling and he gazes in the direction of his friend. His hat is also removed, again implying subservience and obedience. Robert Peake the Elder, 'Henry Frederick (1594-1612), Prince of Wales, with Sir John Harrington (1592-1614), in the Hunting Field' (1603), http://www.metmuseum.org/art/collection/search/437272. I am grateful to the New York Metropolitan Museum of Art for allowing me to reproduce this image in accordance with their Open Access for Scholarly Content Policy. Sadly, Wotton’s prediction and Sir John’s hopes would never come to pass. Prince Henry died of typhoid fever in November 1612, scuppering all the plans. Moreover, both Sir John and his son were themselves dead within two years of Prince Henry’s demise. The father died in Germany in August 1613, having just accompanied the newly married Princess Elizabeth and her husband Frederick, Prince Elector Palatine, to their new home. The son died in February 1614, leaving the family with no male heirs. Consequently, far from being the earliest material remains of the long and fruitful relationship between the Harringtons and the Stuarts, Peake’s paintings are left as a hint of what might have been a very different future for the Harringtons, the Stuarts and - given Prince Henry’s popularity, and his rather different character from his younger brother, the future Charles I - perhaps even for England itself. 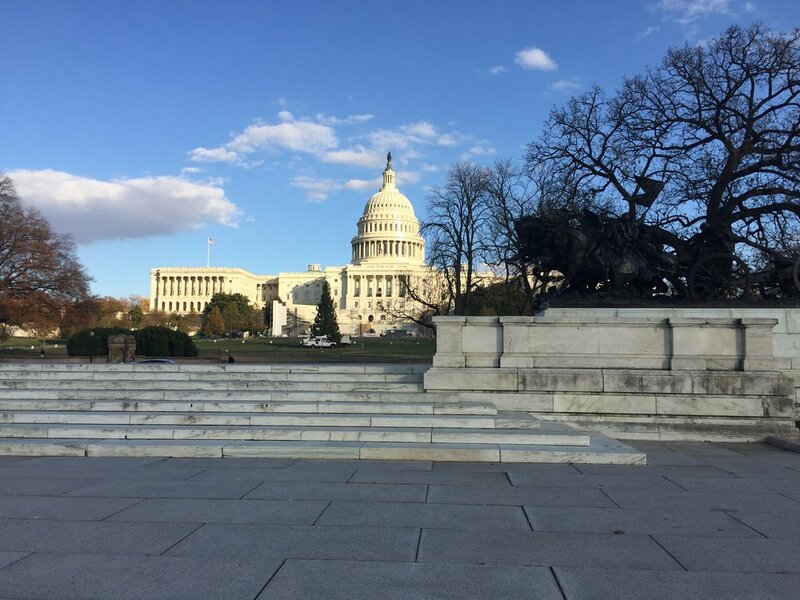 I am writing this blogpost on my way to Washington DC to attend a conference at the Center for the History of British Political Thought at the Folger Shakespeare Library. Travelling to Washington less than a month after the election of Donald Trump as the next US President has inevitably got me thinking about the relationship between Harrington's ideas and contemporary politics. Moreover, the fact that the conference is on the theme of 'Political Thought in Times of Crisis, 1640-1660' has also led me to think about the parallels with today. Of course, it is not just in the US that 2016 has been dominated by an air of political crisis. In Britain, the fallout from Brexit, the hurried appointment of a new Prime Minister, and the shambles surrounding the Labour leadership contest have vied for front-page status. Meanwhile, in Continental Europe mainstream parties are increasingly being challenged by radical groupings on both the Left and the Right, in the context of austerity economics and the flow of refugees from Syria and elsewhere. The attitude of many people to these crises is fear and despair. This is an understandable response, but it is not the only one. Crises are also moments of opportunity, when new ways of thinking, new ideas, and new institutions can be invented, and experimented with. This was certainly true of those years in the seventeenth century that are the focus of the conference. There may be much to be learned from times of crisis in the past. Civil War broke out in England in 1642 when James Harrington was thirty one years old. Four years of fighting followed and, after a brief period of peace in which attempts were made to come to a negotiated settlement with the captured king, hostilities broke out again in 1648. Early the following year, Charles I was tried and executed and the monarchy and House of Lords were subsequently abolished as 'dangerous' to the people. The decade that followed witnessed the introduction, failure, and collapse of a whole series of regimes, coupled with war abroad, and constant threats from royalists and religious radicals at home. Moreover, Harrington was fully conscious of living through a period of revolutionary crisis, seeking to understand how it had come about, and seizing the opportunity to provide innovative solutions to the problems it raised. For this reason, his ideas subsequently appealed to late eighteenth-century revolutionaries. John Adams was one of several Americans to be inspired by him, and the vestiges of Adams' reading of Harrington marked the Massachusetts State Constitution. In France various revolutionaries were fundamentally affected by their reading of Harrington's works. They alluded to him for rhetorical effect, and modelled their own constitutional proposals on The Commonwealth of Oceana. But for my part, where the people have the election of the senate, not bound unto a distinct order, and the result, which is the sovereign power, I hold them to have that share in the government (the senate being not for life) whereof, with the safety of the commonwealth, they are capable in nature, and such a government for that cause to be democracy. Evidently this model is rather different from how most democratic governments operate today. Perhaps the first lesson that Harrington can teach us, then, is that our model of democratic government is not the only one possible and that there may even be others that would fulfil our goals more effectively. The Senate Building, Washington DC. The wording at the top reads 'The Senate is the Living Symbol of the Union of States'. Harrington would no doubt have approved. Image by Rachel Hammersley. Some recent commentators have argued that one of the key problems with our democracy today is that the political class has become alienated from those it claims to represent. This fact has been used to explain the Brexit vote in the UK; the rise of extreme Left and Right Wing parties in Europe; and the recent success of Trump. As Moira Weigel argued earlier this week in a column in The Guardian, Donald Trump ran 'as a candidate whose primary qualification was that he was not a "politician"'. Harrington foresaw the danger that elected representatives could easily become too detached from the people they represent. His solution was to follow Aristotle's dictum of ensuring that those who made the laws would have to live under those laws. This could be done, he suggested, by having short terms and regular rotation of office. In his own constitutional model, members of both the senate and popular assembly would serve for just three years and having completed their term, they would then spend the same period out of office before being eligible for re-election. While something like this system operates in modern democracies, it is not true of MPs in the UK, who can spend a lifetime in Parliament. It is perhaps not surprising that long-term inhabitants of the Westminster bubble can become detached from the needs, concerns, hopes and fears of their constituents. The Labour Party is currently toying with the idea of mandatory de-selection, so perhaps this is one Harringtonian idea that may be employed to solve current problems. Part of the reason for Harrington' insistence on short-terms and regular rotation of office was his belief that all human beings are equally inclined to corruption, particularly when holding a position of power. Consequently he argued against those who believed that political stability and success could be secured simply by choosing virtuous politicians. He argued instead for the development of a robust constitutional structure that would ensure that it was in the interests of those in power to behave virtuously. As noted above, in Harrington's system the senate would debate and propose legislation, but those proposals would only pass into law if they were accepted by the popular assembly. Harrington's belief was that the popular assembly would reject legislative proposals that favoured the interests of the Senate alone, thereby forcing Senators to think about the good of the nation as a whole. Perhaps in the aftermath of recent events, including the MPs expenses scandal of a few years ago, we too should be honest about human frailties and work to develop robust systems that will ensure that politicians act in the interests of those they represent rather than assuming their willingness or ability to do so. The Capitol Building at night. Image by Rachel Hammersley. There are no easy answers in politics and no historian of any worth will suggest that the past provides ready-made answers to our problems. But looking back to key moments of political crisis in the past may alert us to issues that have been obscured or present us with alternative options that we would not otherwise have considered. Moreover, returning to those times can remind us that crises are not just moments of despair, but also of hope and opportunity. Peter Lely's portrait of James Harrington from John Toland's edition of Harrington's works. Image by Rachel Hammersley, with thanks to James Babb. James Harrington, it must be admitted, is not a household name (at least not beyond my odd little household). Indeed, he is not even particularly well known among scholars, unless they happen to be experts on the English Civil Wars or the history of political thought. Consequently, some justification for why he is a worthy focus of attention seems necessary. One reason why Harrington is interesting is that he made a contribution both to the development of republicanism in the mid-seventeenth century and to the history of the Stuart monarchy. This makes him unusual in that he straddles what is often seen as the fundamental dividing line of the period. The Civil War is often presented as, at heart, a conflict between royalists, who insisted on the divine right of the King to rule, and parliamentarians, who asserted the rights and privileges of Parliament (and of the people it represented) and ended up establishing a republic in order to secure those rights and privileges. Scholars have tended to focus on Harrington’s republicanism, ignoring or downplaying his involvement with the Stuarts. Traditionally, then, Harrington is known as a leading (for some the leading) seventeenth-century English republican. His best known work The Commonwealth of Oceana (1656) served a number of purposes in this context. In the first place, it offered a justification as to why a commonwealth or republic was theoretically the best form of government. Secondly, it demonstrated why that form of government was also the most appropriate for England in the mid-1650s. Moreover, in presenting this claim, Harrington also became one of the earliest writers to offer an historical explanation for the outbreak of civil war in England in 1642. His materialist understanding (that it was changes in economic power, crucially the ownership of land, that prompted political change) prefigured Marxist ideas, and was subsequently used as evidence by Marxist historians of the period. Finally, and most significantly, Oceana offered a detailed constitutional blueprint for a more successful and durable English republic than that which was then in existence. For these reasons, Harrington has long been of interest to specialists in seventeenth and eighteenth-century history and thought. There are, however, other aspects of his life that make him a more complex, and therefore an even more interesting, figure than the conventional understanding suggests. Scholars have always known that Harrington’s other great claim to fame, besides being a republican author, was that he had been gentleman of the bedchamber to the captive Charles I in 1647-8, following the parliamentarian victory in the first Civil War. Harrington was employed in this role by Parliament, which was holding Charles prisoner, and he was appointed to replace some of the King’s former servants whom Parliament did not feel it could trust. Consequently, this office was not as strongly at odds with Harrington’s later role as a leading republican as it might initially appear. However, tensions are created by the testimony of those who knew Harrington, which suggest that he was on good terms with the King and had great respect for him. John Aubrey, who was a friend of Harrington’s and wrote a brief account of his life, described Harrington speaking of the King ‘with the greatest zeal and passion imaginable’ and claimed that the King's execution 'gave him so great griefe, that he contracted a Disease by it; that never any thing did goe so neer to him' (John Aubrey, Brief Lives..., ed. Kate Bennett (Oxford: Oxford University Press, 2015), I, p. 318). Similarly Thomas Herbert, who was gentleman of the bedchamber alongside Harrington, claimed in his Memoirs that Harrington had defended the King’s position on the last peace treaty issued to him, (the Newport Treaty) against some Officers of the Army, and that they had been so angered by his defence of the King’s views that they removed him from his position (Thomas Herbert, Memoirs of the Last Two Years of the Reign of King Charles I (London, 1815), pp. 128-30). Despite these accounts, scholars have tended to play down Harrington’s royal service in the course of emphasising his republicanism. Some of the notes that my husband John left me when he died, however, led me to question this interpretation. Further research into Harrington’s own activities, and those of his family, reveal that his role as gentleman of the bedchamber to Charles I, far from being an aberration in his career, was actually the culmination of a family history of service to the Stuarts that dated right back to the beginning of James I’s reign when Harrington’s grandfather and great uncle capitalised on their kinship with the Stuarts to render service and gain favour. Memorial to Sir James Harington of Exton (1511-1592), father to Sir James and Sir John and great grandfather of James Harrington (1611-1677). Image by Rachel Hammersley. In April 1603 James Harington of Ridlington (the republican author’s grandfather) and his elder brother Sir John Harington of Exton met the new King (who was their twelfth cousin) in Yorkshire as he made his journey from Edinburgh to London. According to contemporary accounts, James Harington of Ridlington was one of a number of Englishmen whom King James knighted during his journey. Soon after, when the King reached Rutland, he spent several nights at Sir John’s house, and the men hunted together. Trust appears to have been established between them, since in June 1603 James’s wife, Anne of Denmark, and his two eldest children, Prince Henry and Princess Elizabeth, also stayed with Sir John Harington’s family on their journey south. Friendships were forged between various family members, not least between Sir John’s son, who was also called John, and the young Prince Henry, and it was presumably on account of these connections that Sir John and his wife became guardians for the young Princess Elizabeth on 19 October 1603, after earlier arrangements had fallen through. She was welcomed into their house in December and Sir John was instrumental in preventing her abduction by the Gunpowder plotters two years later. Princess Elizabeth's connection with the Haringtons continued up to and beyond her marriage to Frederick V Elector Palatine in February 1613. Even after Sir John Harington's death later that year, his wife kept up the connection and was with the Electress when her second child, Charles Louis, was born in January 1618. Not long after this, Frederick was asked to become King of Bohemia. Owing to the short tenure of this position, Elizabeth is sometimes referred to as the Winter Queen. In the 1640s the future author of The Commonwealth of Oceana reinvigorated these family connections with the Stuarts in ways that I will explore fully in my book. Evidently, then, Harrington is of interest not only to those concerned with seventeenth-century English republicanism, but also to those interested in the Stuart family, court politics and royal service in the seventeenth century. Moreover, it is clear that his role as gentleman of the bedchamber to Charles I cannot be as easily explained away as historians have sought to do in the past. Indeed, this information regarding Harrington’s life raises a troublesome problem. How could the author of one of the most significant republican tracts of the mid-seventeenth century also have been a loyal and attentive servant to members of the Stuart family, including Charles I? This is one of the questions I try to answer in the book on which I am currently working. For a preview of this aspect of the argument, you can listen to the paper I presented as the James H. Burns Lecture at the St Andrews Institute for Intellectual History in September 2016. Harrington blue plaque. Photograph by John Gurney. In my memory, 25 July 2013 has taken on a special, magical quality. It was a great day in its own right, but its place in my memory is particularly treasured because it can never now be repeated. I was staying with my husband, John Gurney, and our two young children at my parents’ house. It was the beginning of the long summer holiday, the weather was good, and my parents had agreed to look after the children in order to give John and I a rare day alone together. The original idea had been just to go out for lunch, but John (like me an historian) had other plans. 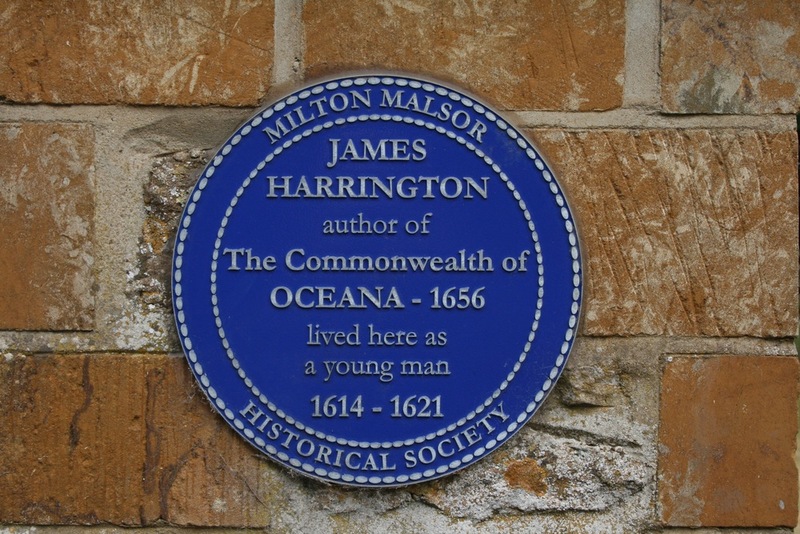 He had realised that James Harrington, a seventeenth-century political thinker central to my research, had links to several Northamptonshire villages near to where my parents lived. John had started to get interested in Harrington himself and so we decided to go on a pilgrimage to look at some of the houses, churches and plaques relating to Harrington and his family, before lunching in a pub. This may not sound like everyone’s idea of a treat, but for John and me it was perfect. It gave us the opportunity to escape the constant demands of life with young children for a few hours and to rekindle the foundations on which our relationship was built: our mutual interest in seventeenth-century history; our passion for talking about and sharing our ideas; and our love of visiting historical places (as well as our enjoyment of large pub lunches). There was also the sense that this might be the first of many such days. With our youngest child due to start primary school the following September, the possibility of spending a bit more time on our own together was starting to open up. Harrington's house at Milton Malsor, Northants. Photograph by John Gurney. Little did I know at that point that far from being the first summer of the rest of our lives, 2013 would be my penultimate summer with my wonderful husband, and the last one before our lives would be torn apart by John’s cancer diagnosis. John died just fifteen months later on 8 December 2014. Nothing prepares you for a tragedy of this nature. Before John’s diagnosis I was always amazed by the ability of others in dire circumstances to cope and carry on. All too suddenly I found myself on the other side of the mirror and, of course, I too coped and found others amazed by my resilience. Yet to me it didn’t feel like coping. That implied a conscious choice. Whereas with two children and a job that I couldn’t give up (even if I had wanted to) the only option was to get out of bed each morning and continue. In a funny way I think the urge to carry on actually provided me with the means to do so. There were, however, other lifelines that I instinctively reached out for in those early months. One that proved particularly important to me was my, at times unhealthy, obsession with grief literature. I devoured Julian Barnes’s Levels of Life (by far the cream of this niche genre) in one evening’s sitting. I also read a whole host of material of a more varied quality: memoirs, fiction, blogs, newspaper articles - anything I could get my hands on. The authors of these works helped me to feel less alone. They reminded me that my situation is actually more ‘normal’ than it sometimes feels out there in the real world. These works also aroused within me an insatiable desire to deal with my own grief in a creative way. I had no illusions about writing a blockbuster memoir. Julian Barnes was a great novelist long before his wife died. It wasn’t this experience that made him one. Following this logic, the obvious outlet for my creative yearning was to write something historical. I had been an historian before I had met John and my status as an historian was not (outwardly at least) affected by his death. It was one of the few constants in my identity at a time when everything else seemed to have been turned upside down and I was having to come to terms with new labels that I had not chosen for myself. Moreover, John had left me a kind of signpost for the direction that this work might take. Upton Church, Northants. Photograph by John Gurney. Both before and after our magical day in Northamptonshire, John had been making notes on Harrington. Using the research skills he had honed first as a DPhil student at Sussex University and later at the Historical Manuscripts Commission, he had tracked down all kinds of information about Harrington’s family connections, his activities during the Civil War, his friends and associates. By the time he died, John had produced hundreds of pages of hand-written notes and references detailing this research. We had talked a bit about his findings both on our day out and afterwards. We had vague ideas of writing a book together, with John researching and writing the sections on Harrington’s life and me contributing chapters on his ideas. When it became clear that the treatment wasn’t working, and that John had very little time for any more historical writing, we talked more about this project. In one of many poignant conversations that we had in John’s last weeks, he mentioned these notes, told me where they were, and made clear that they were mine to do what I wanted with after he was gone. They were an odd parting gift in many respects, but they were very much in keeping with our relationship. Those notes provided me with a lasting link to my husband’s talents and passions. In working through them I was, paradoxically, both drawn closer to him and also given the means to continue my journey as an historian alone. They acted as a bridge between our old life and my new one, and as a bridge they protected me from the yawning chasm below which might otherwise have swallowed me up. While I knew where the notes were, and while I knew that I wanted to work through them, I did not feel strong enough to do so until about six months after John had died. Even then it was, to begin with, an extremely painful experience. I had not realised before just how evocative of personality handwriting can be. To begin with just reading the notes made me cry. Quite quickly, though, it became comforting, a way of feeling close to John while continuing with my work. Of course at times it was also a deeply frustrating experience. John’s handwriting was not easily legible at the best of times, and when he was scribbling down references on scraps of paper to remind himself of what he had found, it could become almost completely indecipherable. What made it worse was the abbreviations. John evidently had a whole catalogue of acronyms in his head that he regularly used, particularly for the titles of key sources. Some I worked out relatively quickly, but others, including A&O for Acts and Ordinances of the Interregnum flummoxed me for some time. On numerous occasions I sat and wept because I could not simply run downstairs to John’s study to ask him what a seemingly random series of letters meant. On the other hand when I finally worked out the meaning of a particular short-hand term, I felt a small rush of triumph as the cypher suddenly disclosed a whole raft of new information to follow up. Plaque commemorating James Harrington in Upton Church, Northants. Photograph by John Gurney. As I slowly worked through John’s notes I began to realise that they could act as a bridge in another way too. They provided me with a whole new way of seeing Harrington: one that challenges the conventional republican reading of him and reveals previously hidden aspects of his life and thought for investigation. This new vision of Harrington has also led me to new formats and modes of communication, not least as a reflection of Harrington’s own playful and experimental attitude towards genre and form. This blog is just one facet of my exploration of this new territory. I will use it to present elements of my new interpretation of Harrington (though this will be developed in full in the book on which I am currently working). It will also be a vehicle for reflecting on the range of sources that I’m using in my research: what can be gained from them; and some of the quirky information I’ve found in them. Finally, it will allow me to log this journey that John set up for me, but which I must travel alone.